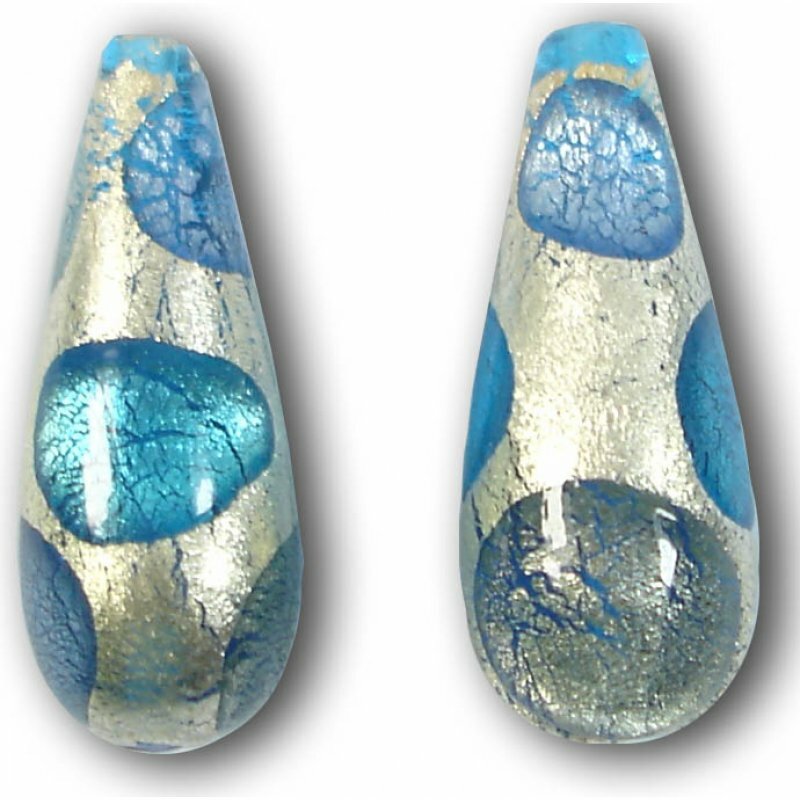 1 Murano 24kt White Goldfoil Extravagant Drop - Sapphire, Aquamarine and Black Diamond – just imagine this drop made into earrings - this is so beautiful. Hole runs top to bottom through the bead, which measures approx. 28 x 11mm. Each bead is different from the last, but each is beautiful. With 24kt goldfoil inside and outside. 1 Murano White Goldfoil Extravagant Dark Aquamarine Sapphire and Black Diamond 20mm Heart Bead. 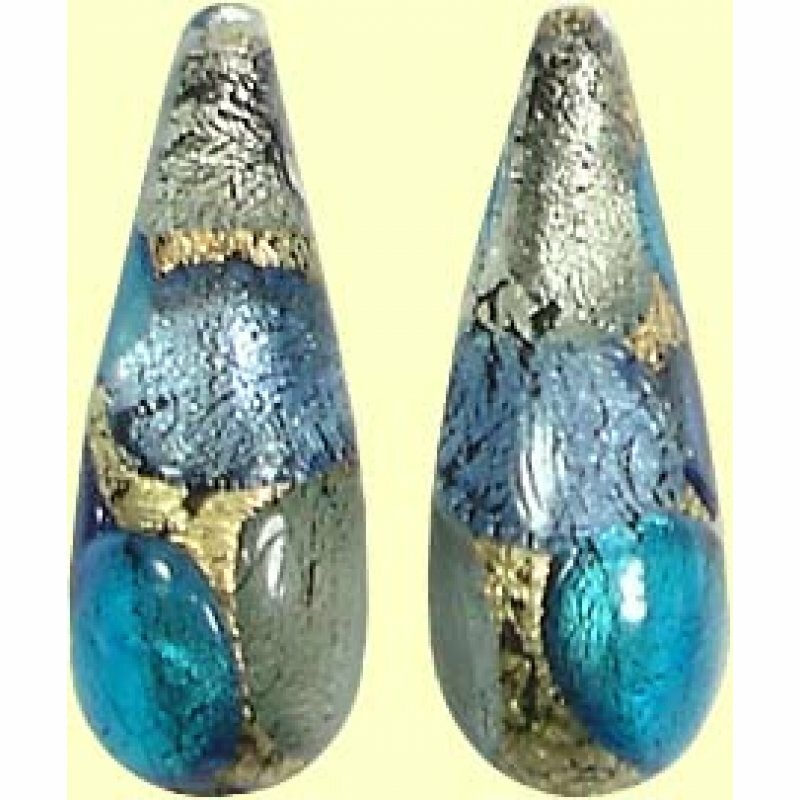 Each..
1 Murano White Goldfoil Extravagant Sapphire, Aquamarine and Black Diamond Small Pear Drop. Measures..
1 Murano White Goldfoil Extravagant Sapphire, Aquamarine and Black Diamond Large Pear Drop. 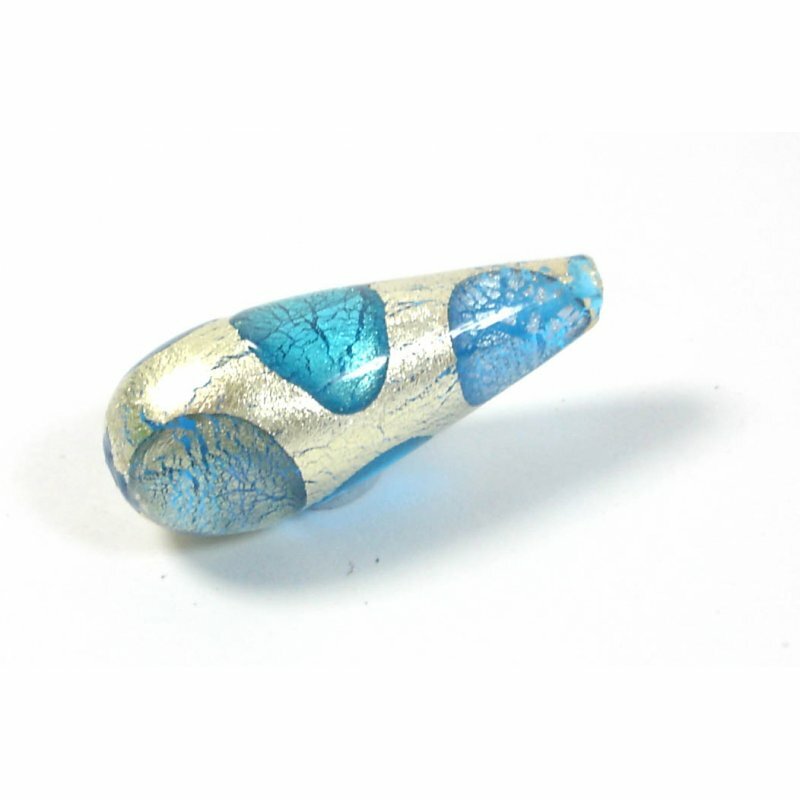 Measures..
1 Murano White Goldfoil Extravagant Sapphire, Aquamarine and Black Diamond 14mm rou..